A tooth extraction is the removal of a tooth from the mouth. There are many reasons your dentist may recommend that an extraction be performed. 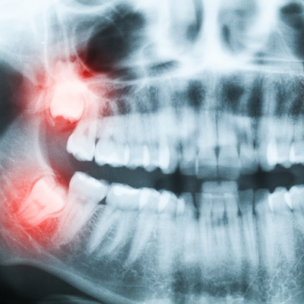 During your first visit, your dentist or oral surgeon will take x-rays and obtain a detailed medical history. Sometimes, antibiotics will be prescribed prior to the procedure. He or she will explain the reason for your extraction, the type of procedure required and what you can expect during and after the procedure. Skill and technique on the part of the dentist/oral surgeon are critical for comfort during a tooth extraction. At Warshauer & Santamaria our doctors are specialists with years of experience performing tooth extractions. We will give you care instructions after each appointment. Good oral hygiene practices and regular dental visits will aid in the health of your remaining teeth following this procedure.